The visiting Bangladesh Foreign Minister Dr. A K Abdul Momen MP today met with Senator Christopher Murphy and USAID Administrator Ambassador Mark Green. 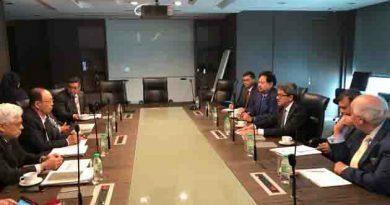 Rohingya issue was the key focus of the Bangladesh Minister’s discussion with the US senior official and lawmaker. 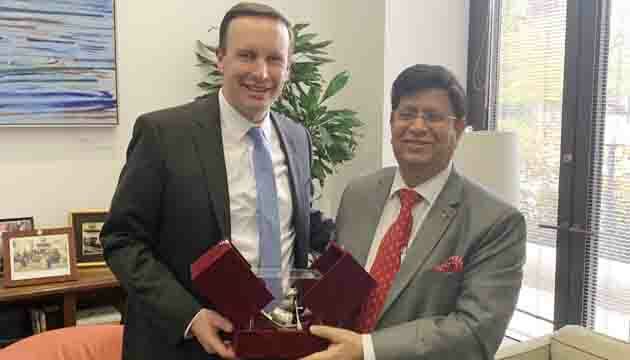 In his meeting with Senator Christopher Murphy, Minister Dr. Momen suggested that it would be effective if both houses of the US Congress could pass resolution with clauses on sanctions to perpetrators and entities in Myanmar who persecuted the minority Rohingyas and grossly violated human rights. He said that the Myanmar authorities took back some Rohingyas in the 1990s when they were isolated internationally. However this time they have not taken the required measures to implement the agreements to repatriate the Rohingyas to Myanmar. Senator Murphy thanked the Bangladesh Minister for his helpful briefings and assured to remain beside Bangladesh in dealing with this crisis. At the meeting with the USAID Administrator, Bangladesh Foreign Minister thanked the USA for standing beside the Rohingyas with material help as well as political support. He said that the problem was created by Myanmar and the solution lies with Myanmar too. It is extremely critical to create international pressure on the Myanmar military so that they stop persecution on the Rohingyas and create conducive environment to facilitate the latter’s safe return. He urged upon the US administration to solicit support on Rohingya issues from the countries who maintain close economic and commercial ties with Myanmar and together create pressure on Myanmar to take back its nationals from Bangladesh as per agreements signed. Mr. Green reassured Dr. Momen that a peaceful resolution to the Rohingya issue is not just Bangladesh’s concern rather it is a responsibility of the global community. He said that USAID will continue financial support to the Rohingyas and the host community. 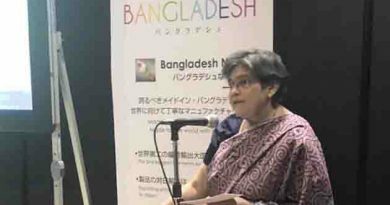 He thanked the Government of Bangladesh for its generosity and compassion. Dr. Momen briefed Ambassador Green about relocation of one lac Rohingyas from Cox’s Bazar to Bhashanchar, an island which Bangladesh made habitable at own expense. He said that the Rohingyas will have livelihood opportunities in Bhashanchar. 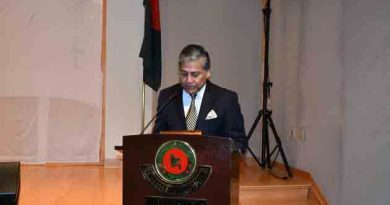 Last evening Foreign Minister Momen attended a reception accorded to him by the Metro Washington Awami League. 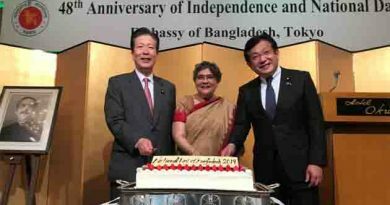 Great Victory Day celebration begins at Bangladesh embassy in Washington, D.C.